Coracias tibicen Latham, 1802, Port Jackson (Sydney), Australia. Polytypic with up to nine subspecies, the limits and identity of which are controversial. Subspecies differ mainly in pattern of back, whether white or black; size; proportions of bill; and width of the black band on the tail tip. Four black-backed subspecies occur across northern Australia south to the Pilbara in the west and the Murray-Darling Basin and south coastal New South Wales in the east; five white-backed subspecies occur in southwestern and southeastern Australia, including Tasmania, with an outlier in central southern New Guinea. Opinion has varied over whether white- and black-backed groups are distinct species, but they hybridize freely wherever they meet. Intriguingly, the white-backed subspecies in southwestern Australia and southern New Guinea have blackish-backed females. 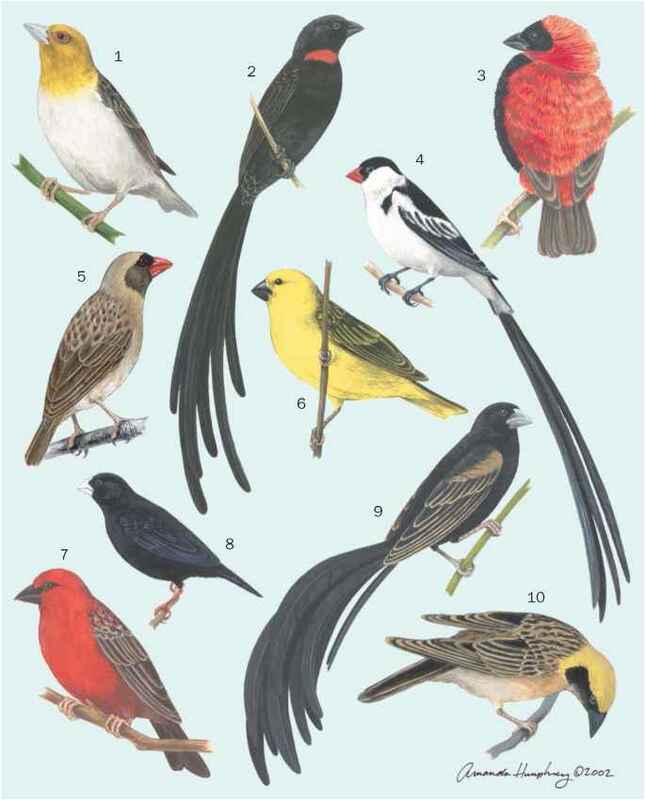 French: Cassican fluteur; German: Flotenvogel; Spanish: Urraca Canora. Gymnorhina tibicen I Resident than males and their dorsal white is clouded with gray; in southwest Australian females, the black feathers of the saddle are edged with white. Juveniles are much duller than adults, dingy gray-billed, and pass through gray-breasted plumage before reaching adulthood in their third or fourth year. 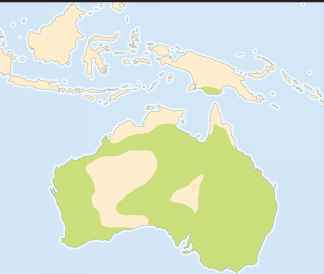 Throughout Australia, including east Tasmania but excluding central treeless deserts and extreme north (north Kimberley, Arnhem Land, and Cape York Peninsula), with an outlying population in dry sectors of central southern New Guinea. Introduced successfully in New Zealand, Fiji, and Guadalcanal. Open woodlands, savannas, and rural fields with fringing trees, windbreaks, and copses. A combination of extensive bare or short-pastured ground (for feeding) and scattered groups of trees (for roosting and nesting) is essential. Australian magpies are bold, gregarious birds in settled areas, adapting to human habitation and benefitting from the clearing of land for rural purposes. Also sedentary and hold territory year-round according to social order; top males occupy and defend optimal territories that include one to several females, while at the bottom rung are loose, locally mobile flocks (of about 10 to 100 or more) of juveniles evicted from parental territories and adults that have not yet gained or have lost territorial status. Groups sing together from perches in rich, organ-like fluted caroling to advertise territory. In group attacks on predators (e.g., raptors) often much larger than themselves, they yell in shrieking yodels, calling in mid-flight and alarming the entire neighborhood. Flight is swift and powerful on rapidly and deeply beating pointed wings. Magpies spend most of the day feeding on the ground but rest and roost on perches in trees or poles, each group sleeping as a loose unit in a single tree or series of adjacent trees. Ground-foraging invertebrate feeders, Australian magpies feed on bare or short-pastured turf over which they can move easily on long legs. They walk methodically like rooks (Corvus frugi-legus), head cocked, listening, and watching. Most prey, including grubs, worms, and ground and burrowing insects, is dug out of the ground with their straight, stout bills. Items are dispatched and eaten on the ground at point of capture. The breeding system is polygynous and territorial, one male mating with one to several females and spending nearly all his time defending them and his territory from other males. Breeding, from nest-building to fledging, extends from early spring to early summer (mid-July through August to December or January), in territories of 7-25 acres (3-10 ha), or more in arid areas. Only one brood is reared per year. All nesting duties are carried out by the mated female, but she may be helped in feeding young by other females in her group. Nests are rough bowls of twigs, lined with finer fiber and placed in the upper forks of trees at 10-50 ft (3-15 m) above the ground. In near-treeless areas, Australian magpies will construct nests with wire and place them on the spars of electricity poles. Eggs, in clutches of three to five, are 1.45-1.53 x 1.02-1.10 in (37-39 x 26-28 mm) and pale green to grayish blue, spotted and/or streaked in earth reds, reddish browns, umber, and dusky. No one clutch resembles another. Eggs hatch in 20-22 days and young fledge in another 28-30. Not threatened; populations benefit by habitat clearing throughout rural Australia.